Sometimes being stubborn with your studying is the most effective strategy. Becoming an true expert in any particular subject is a painfully slow process. Sure… you can score high on a test of just about anything with just a few easy changes. Actually getting a deep understanding of the subject requires a long investment of time and energy. Even on subjects that seem relatively mundane, the sheer amount you need to understand could take years. Tests, on the other hand, are limited in scope. Some strategies are meant to give you a deep understanding of the subject as fast as possible. You can dramatically improve your grades using simple shortcuts. Despite improving your grades in the subject, you probably won’t convince anyone that you’re an expert in the subject. This is the kind of strategy you want to use when you really care about a subject. Experts aren’t born. They’re made. In a school environment, most students study as if they’re putting out fires. The teacher sparks up a flame and the student tries to put out the fire before the next flame starts. The teacher delivers the required information and the student tries to handle that required information as quickly as possible. You’re probably tempted to use this same strategy to learn outside of school too. There is a fundamental problem with this strategy though. In a school environment, if the student fails to learn something, they suffer from some kind of a consequence. In most cases, outside a school environment, there are no consequences. When there are no consequences, this particular learning strategy becomes a major struggle for students because it completely lacks feedback for most of the information you’re learning. Putting out fires isn’t the secret to learning. The student has to spend a ton of time finding the right information to learn. Then the student has to sit down and learn it. If that student is treating this process like a school environment then the student is probably sitting down with their textbooks for large chunks of time. In a traditional schooling environment, with the motivation of grades, this is a possible but low-efficiency tactic. But when you’re trying to get beyond grades, you’re going to have a problem with it. If there are no fires to put out, you need to approach studying with a different strategy. Fire is your motivation to continue even on the difficult days. Anyone can be motivated for a week or two. To become an expert in a subject, you have to be motivated months from now. In school, that fire can be grades. Of course, if you’re trying to become an expert in something you’re also learning for class this can help but you really don’t need an expertise to get good grades. That means you’ll need to look beyond that. In a work environment, it may be keeping your job. In a personal environment, it may be being stuck in an environment that requires that information. In my experience, some of the biggest experts in any particular field are not gifted. I’m sure there are fields where people might have been born with exceptional skills but in most intellectual pursuits you won’t find people born gifted. Most experts are painfully stubborn about learning their subject. Most experts don’t sit down and study a subject for months straight to become experts. It may be possible but you’ll notice barely anyone succeeds with that tactic. Most experts just consistently study their subject for years. They are willing to put a little bit of time into their subject every single day. By a little bit of time, I really do mean a little bit of time. Most experts find super simple strategies for learning their subject. Then they invest a little bit of time in that strategy, (almost) every single day. This long haul attitude of studying requires very little motivation in comparison to a long study session. On top of that, it often becomes habitual to the point where they start studying without even thinking about doing it. By the time you want to procrastinate, you’ve already started studying. You’re not allowed on the ride if you don’t put in the time. Imagine you’re a researcher doing some important (and potentially life saving) research into Ferris wheels at your local town fair. To complete your part of the study you need to stand at the exit of the Ferris wheel and measure the height of every person coming off the ride. During your research, you start to see a strange pattern. Everyone’s height that you measure seems to be over 4’-6”. From that information, you could theorize a number of different things. 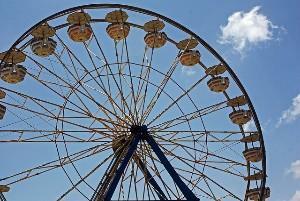 You could think, “maybe people under 4’-6” are more likely to be scared of riding the Ferris wheel. Maybe you’d think, “maybe the Ferris wheel is trapping people under 4’-6” in the rails or something. That is one of the most important things a stubborn study strategy does. Want To Be An Expert? Prove It. If you’re unwilling to sit down and study a subject for 10 minutes a day then you are probably not motivated enough to become an expert. If you are willing to sit down for 10 minutes a day then you probably are motivated enough. Some days people are loaded with excesses of it. Some days people barely want to get up in the morning. 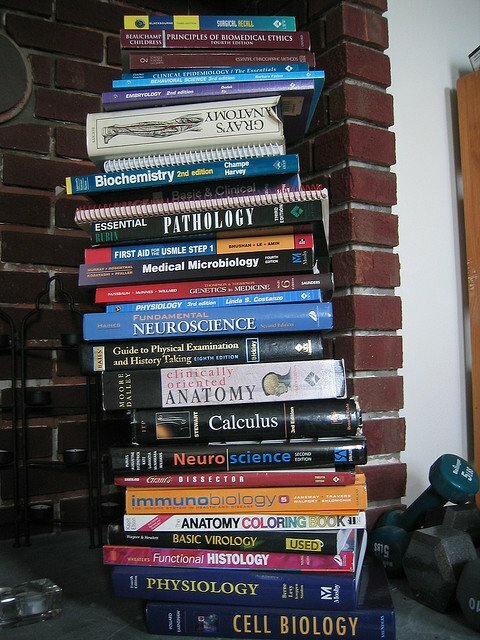 If you want to become an expert in a subject, you may try a traditional long study approach for learning it. If you don’t have the motivation to continue studying on day 2 or month 10 or year 2 then you’ll be stuck. 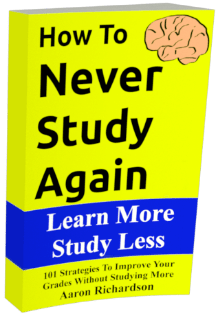 You can learn just enough in no time at all for good grades when you learn the tricks. If you hope to become an expert in a field, there are hoops that you have to be willing to jump through. If you don’t think you could study 10 minutes a day then you may become skilled, you may become professional, but odds are, you’re not going to become an expert. You don’t need to be an expert in something to be better than most people in the world. Careers are made by being pretty good at something. You can ace a course with being pretty good at it. Sure… there are limits to pretty good but you might be surprised how few real experts their are on any subjects. They’re the motivated few that stand head and shoulders above others in the field. Expertise is built on a love of the subject. Why do you want to be an expert? 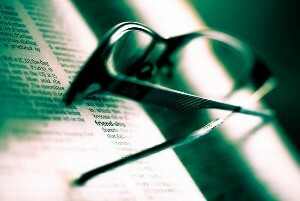 If you love the subject then you’re right to want to focus on expertise. If you’re looking for something else then, odds are, you’d do better focusing on the systems surrounding the expertise. That’s a big chunk of what we go over on this blog. You can make school easy by learning the systems inside and out. In the process, you’ll learn how to analyze anything you’re doing in life. ← Q/A – How Do I Win Over Teachers? I think that if you want to become an expert in some topic, you need to feel passion. If you do, you will keep on coming up with ways to learn more about the topic. You have to find something to like about it. Otherwise it’s going to be a terrible chore, and it will be difficult for you to keep the fire burning. You can also promise yourself some kind of a prize for example a visit to the country whose lanaguage you’re trying to learn, or even just being able to understand your favourite German band’s lyrics. Put that on a poster for your wall.